We have information you must know before you buy the V60. 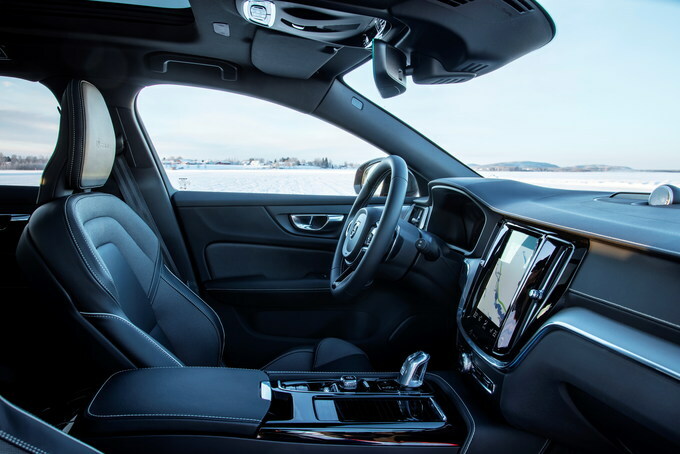 As Volvo steadily converts its lineup over to its new Scalable Product Architecture (SPA) platform, it’s adding generous dollops of Swedish design and premium feel. 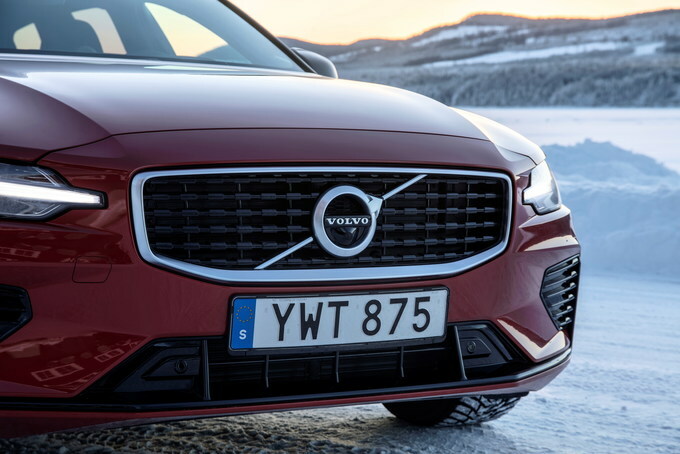 The 2019 Volvo V60 is the latest model to get the treatment. Billed as a family station wagon, it’s stylish and practical enough to pull duty everywhere from corporate garages to mountain retreats. The Volvo V60 is all new for 2019. The new car is an inch wider and nearly five inches longer than the outgoing model, but it sits 2.2 inches lower. Choosing a V60 begins with the two available powertrain options. 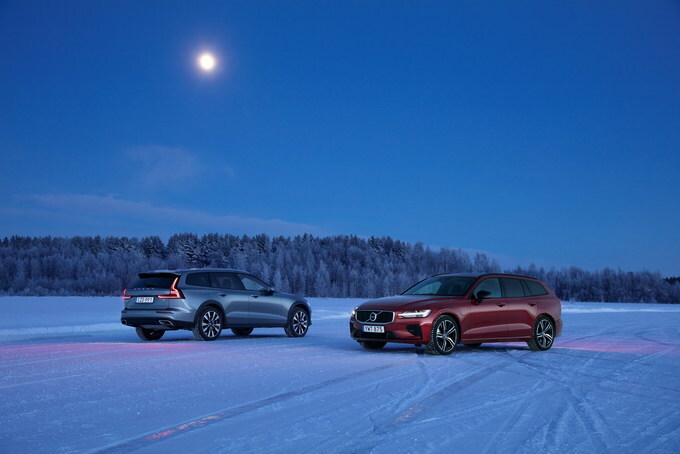 Both are shared with the V60’s larger V90 sibling, and both begin with a 2.0-liter four-cylinder engine. The T5 powertrain uses a turbocharger to pump 250 horsepower and 259 pound-feet of torque to the front wheels. The T6 comes with all-wheel drive and slaps on a supercharger to boot, ending up with 316 hp and 295 lb-ft of torque. Both powertrains use an eight-speed automatic transmission. Fuel economy for the T5 is strong at an EPA-estimated 24 miles per gallon city, 36 mpg highway, and 28 combined. The T6 takes a hit for all-wheel drive but still manages 21/31/25 mpg (city/highway/combined). 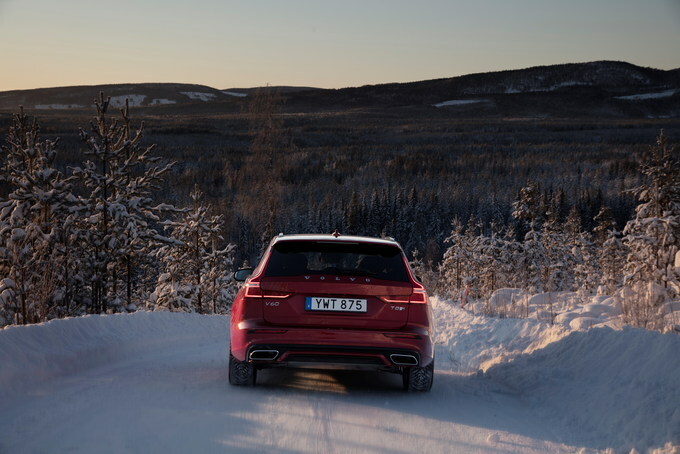 The 2019 V60’s larger dimensions help it in the utility department. Cargo capacity has expanded, with up to 48 cubic feet on tap with the rear seats folded. Rear leg room has grown by a couple inches as well. 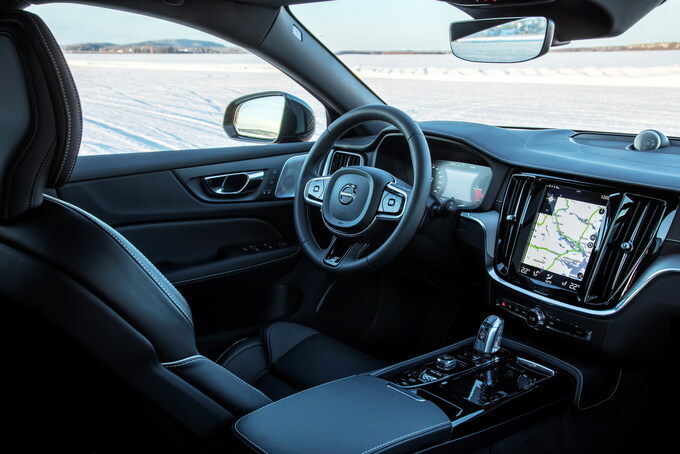 All V60s use Volvo’s Sensus infotainment touchscreen, which boasts 4G connectivity plus Apple CarPlay and Android Auto compatibility. Starting at $39,895 (all prices include the $995 destination charge), the Momentum trim is the cheapest way into a V60. Upgrading to the T6 powertrain will set buyers back an additional $4,500. Volvo hasn’t skimped on luxury: the Momentum trim comes with 17-inch alloy rims, a panoramic roof, a power-operated tailgate, rain-sensing wipers, heated wiper nozzles, and Volvo’s signature hammer LED headlights. The interior gets a nine-inch infotainment screen, an eight-inch driver display, a rearview camera, dual-zone climate control, power-adjustable front seats with lumbar support and memory settings, a power-folding second row, iron ore inlays, and a leather-wrapped steering wheel and shifter. Exclusive to the Momentum trim is Volvo’s tasteful “City Weave” textile upholstery, which is like a Swedish version of the Volkswagen GTI’s plaid. Safety is another strong point, with standard active safety features like collision avoidance and lane keeping assist. Packages begin with a bundle that heats up the front seats and steering wheel for $750. A Premium Package ($2,050) adds a mirror-mounted compass, auto-dimming mirrors, retractable side mirrors, front and rear parking assist, blind-spot monitoring and cross-traffic alerts, keyless entry, and a garage door opener. Once the Premium Package is selected, the Advanced Package ($2,500) tacks on a head-up display, a surround-view camera, semi-autonomous driving with adaptive cruise control, cornering headlights, high-pressure headlight cleaners, and LED fog lights. A Multimedia Package ($2,500) expands the driver display to 12.3 inches and adds Harman Kardon sound and navigation. Finally, the Linear Lime Deco Inlay Package ($600) adds (you guessed it) lime-wood inlay plus extra mood lighting. Besides accessories and service plans, the only substantial options are charcoal headliner ($200) and a customizable active suspension ($1,000). Sadly, colors other than black cost an extra $645. Starting at $44,895 for a T5 and $49,395 for a T6, the R-Design ups the standard features. All the features from both the Premium and Multimedia Packages are standard, as are 18-inch alloy wheels, charcoal headliner, a heated steering wheel, and exclusive R-Design badging. The seats are sport buckets and upholstered in Nappa leather. With all the other packages included standard, the only remaining bundle is the Advanced Package, which remains $2,500. Heated front seats can be added as a standalone option for $500. Other options include a parking assist autopilot ($200), a lowered sport chassis ($200), heated rear seats ($425), and an even-more-premium Bowers and Wilkins sound system ($3,200). 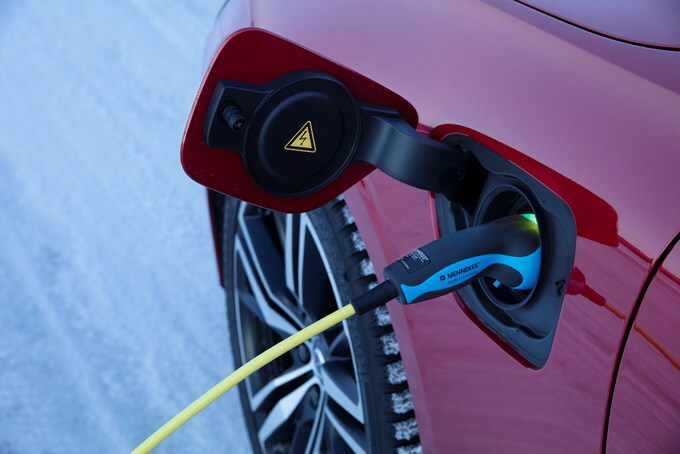 Starting at $50,395, the V60 Inscription is only available with the T6 powertrain. Luxury is at the forefront with standard heated front seats, four-zone automatic climate control, exclusive alloy rims, and driftwood inlay. A variety of leather upholsteries are available. Heated rear seats and a heated steering wheel (inexplicably not standard) are bundled for $750, and the Advanced Package remains in place for $2,500. A Luxury Seat Package ($2,200) adds ventilated Nappa leather, power-adjustable side support, and massage-capable front seats. The active suspension is back on the menu for $1,000, but other standalone options remain the same as the R-Design trim. 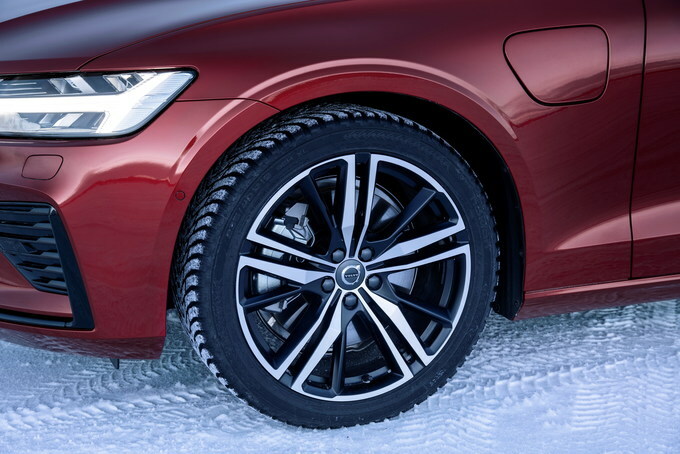 The Momentum trim is the best value of the 2019 Volvo V60 lineup. The interior alone ought to be enough to win many buyers, with gorgeous design and a premium feel. Packages offer plenty of customizability, but go easy on the options if possible, as price can inflate in a hurry. Gorgeous styling. If there's a brand that knows how to do wagons it's Volvo. 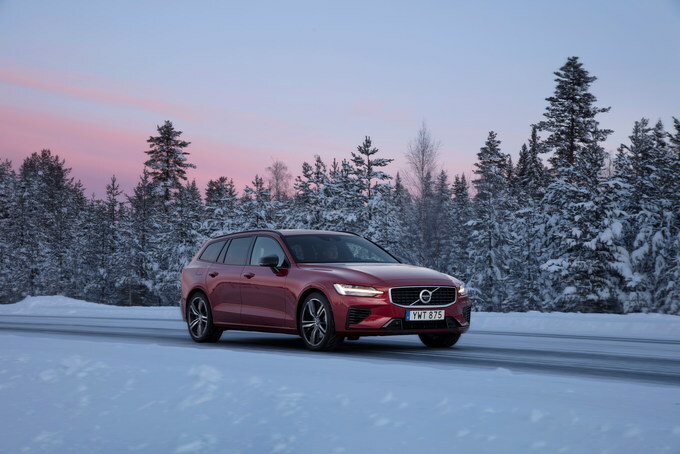 Borrowing heavily from the more upscale, more luxurious, and more expensive V90, the 2019 Volvo V60 is by far one of the prettier wagons on the market. Sleek lines and a handsome design ensure the V60 stands out in the sea of crossovers and SUVs. The lush design continues on the inside, where the V60 is plush in every way. The seats are supremely comfortable, there's the brand's massive 8-inch vertical touchscreen, and everything you touch feels upscale. The wagon design also brings a great amount of interior space with it. SUV-besting cargo. 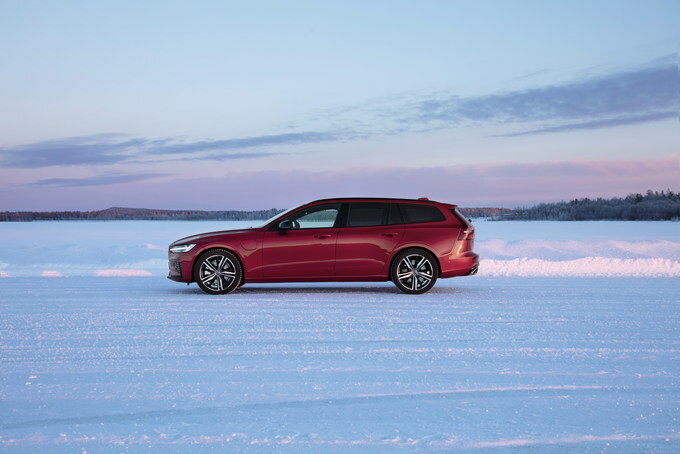 Since the V60 utilizes the same underpinnings as the Volvo XC60 and has a boxy shape, the wagon allows it to get close to its high-riding counterpart when it comes to cargo capacity. With the second row in place, the V60 has 32 cubic feet of cargo space. Lower the rear seats down, and that figure opens up to 51 cubic feet. So-so fuel economy. Despite being offered with a turbocharged 2.0-liter four-cylinder engine, the V60 isn't the most fuel-efficient mid-size luxury vehicle. Front-wheel-drive models get an EPA-estimated 24 miles per gallon city, 36 mpg highway, and 28 combined. Adding all-wheel drive brings those numbers down to 21/31/25 mpg (city/highway/combined). A comfortable all-around vehicle. The V60 doesn't pretend to be a sports car or an over-the-top luxury vehicle, but somewhere in between instead. 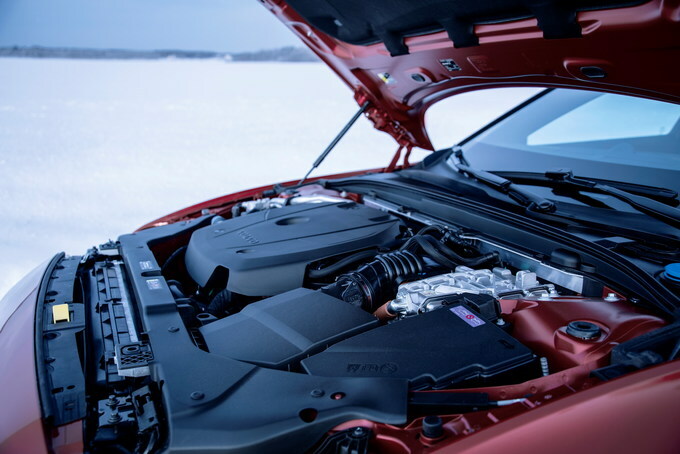 Power ranges from 250 horsepower from a turbocharged 2.0-liter four-cylinder to 316 hp. 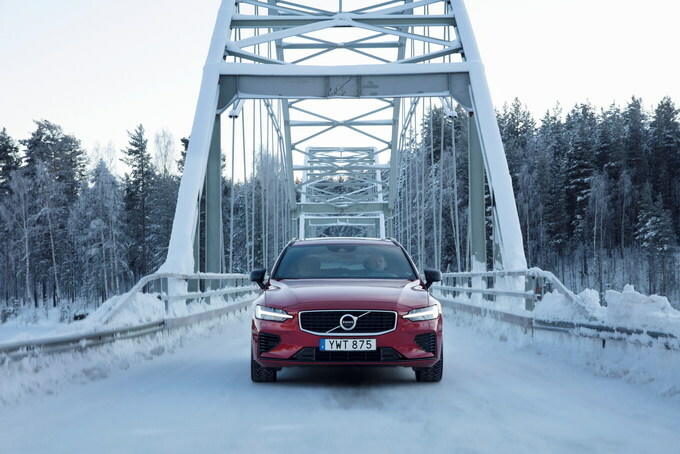 With the more powerful engine, the V60 provides passengers with brisk acceleration, while the eight-speed automatic transmission is quick and smooth. Where the V60 really shines isn't on curvy roads, but on the highway, where the wagon makes it incredibly easy to travel an insane amount of miles in comfort. The available electronically controlled suspension is firm, yet supple and provides an extra level of body control. 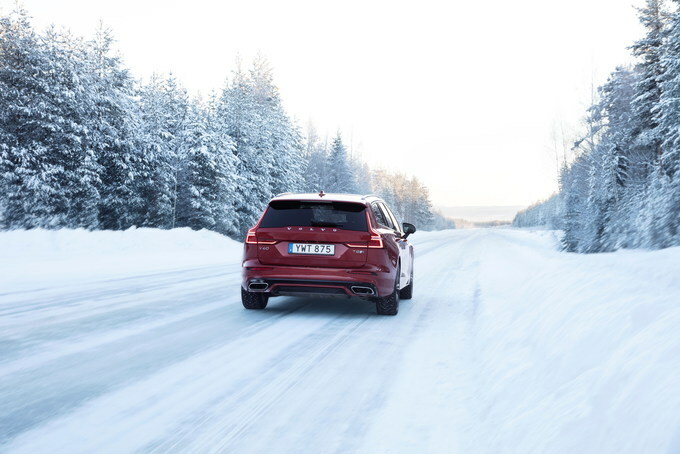 If having a good mix of sportiness and comfort is what you're looking for, the V60 is a great mix. Final thoughts. In a market that has all but given up on wagons, the 2019 Volvo V60 is a breath of fresh air. It's got the storage capacity to rival SUVs, while having a much more enjoyable ride. There's also the V60's gorgeous exterior and interior design, which are unparalleled. 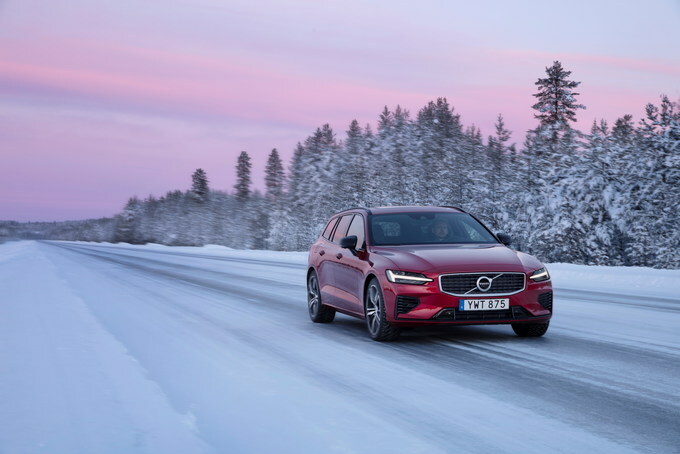 While we would want a sportier ride and some more power, the V60's compliant ride on the highway should appeal to more drivers, while the wagon's current lineup of engines produces adequate, if not a thrilling, level of performance. For the V60's power level, though, we were expecting better fuel economy numbers. The V60 exists in its own little space. There's the Volkswagen Golf SportWagen, but that's not nearly as luxurious or as handsome. The Audi A4 Allroad is an off-road-oriented wagon, as is the Buick Regal TourX. The Mercedes-Benz E-Class wagon offers much more performance, but costs a lot more money. The Jaguar XF Sportbrake is a similar story, being much larger, more powerful, and more expensive. If you're looking for a mid-size luxury wagon, the V60 is it, but boy is it an excellent option. We have partnered with trusted dealers in your area to give you a great price on the new Volvo V60.